It’s healthy to admit when you’ve outgrown a relationship. We’re willing to be there’s one fling in your life that needs major reevaluating. You know, the one you feel you just can’t drop, that on-again off-again relationship with those tired, unhealthy snacks. Think about it: What have your old go-to snacks really done for you lately? Do they even excite and satisfy you anymore? 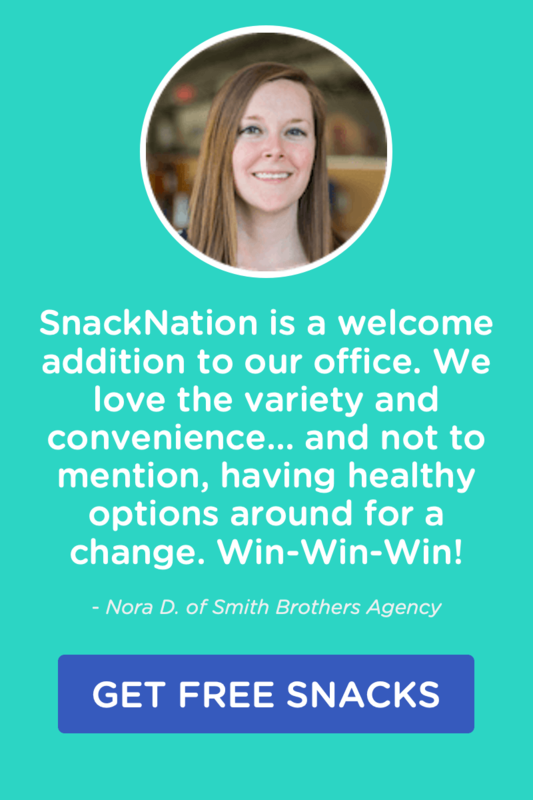 Sure, it’s easy to fall back into old habits, but we want you to know that there are other healthy savory snacks in the sea. 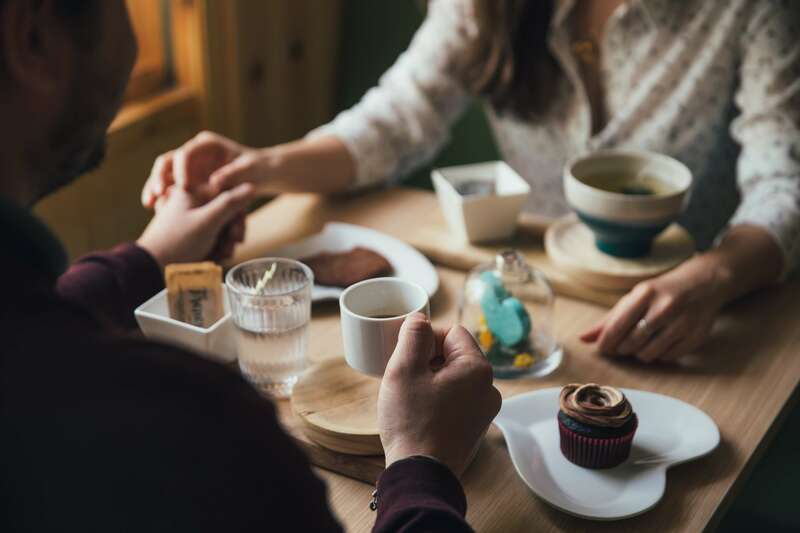 These trendy new players in savory snacking taste just as good as your old flames, but they’ll leave you satisfied and nourished instead of empty. 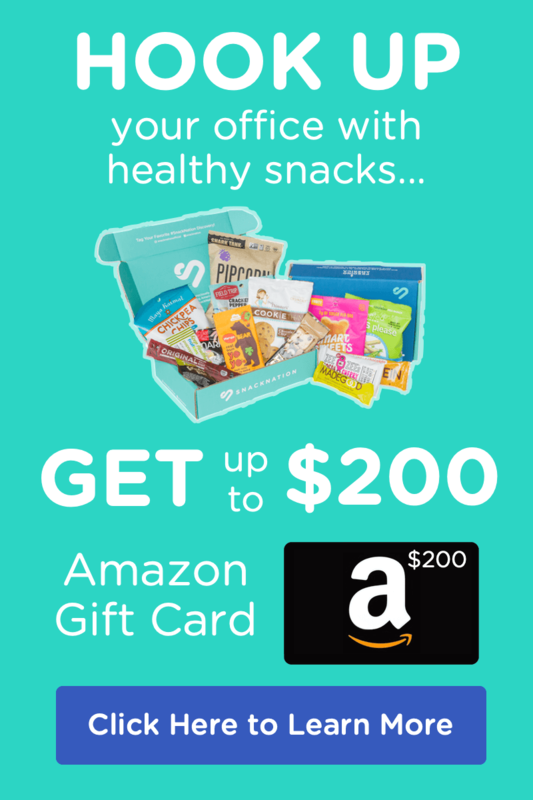 Give them a try if you need help getting through your harrowing breakup with unhealthy snacks. But don’t mistake any of these bites for rebounds; one taste of each will have you diving right into something more long-term. Chomp’s Hoppin’ Jalapeno Beef Sticks have more credentials than your therapist. 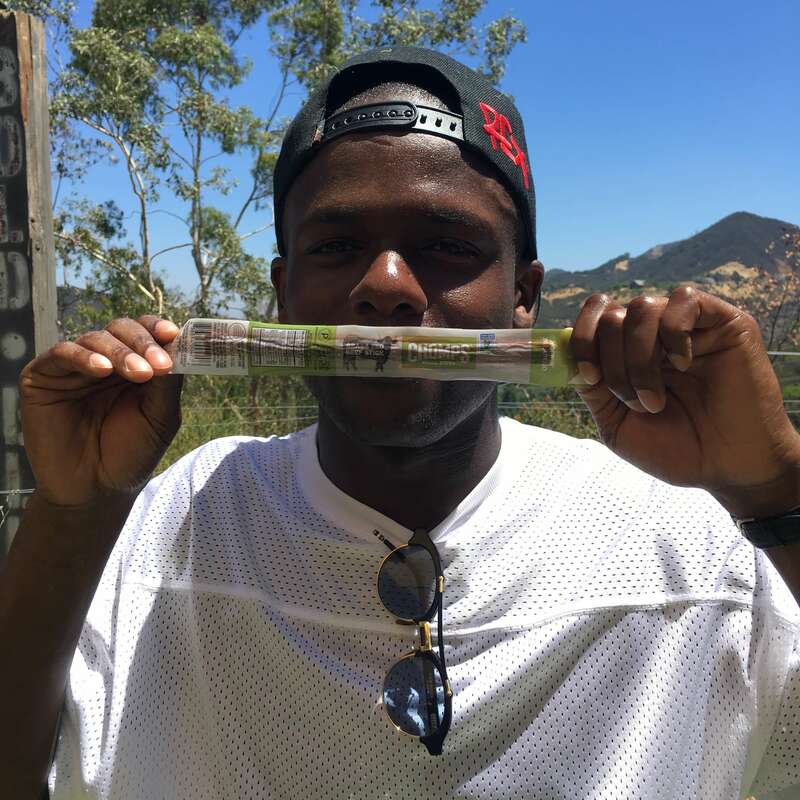 The sticks are certified gluten-free and paleo, verified by the non-GMO project, approved by Whole30, and 100% tasty. The culinary geniuses at Chomps don’t waste time taste-testing dehydrated jalapeno powder to achieve that perfect dash of heat; they simply put real jalapenos into each grass-fed beef stick. Now that’s dedication! And in addition to incredible flavor, each stick gives you nine grams of protein. Your taste buds have come a long way since your teenage years, so they deserve something better than the same old jerky! 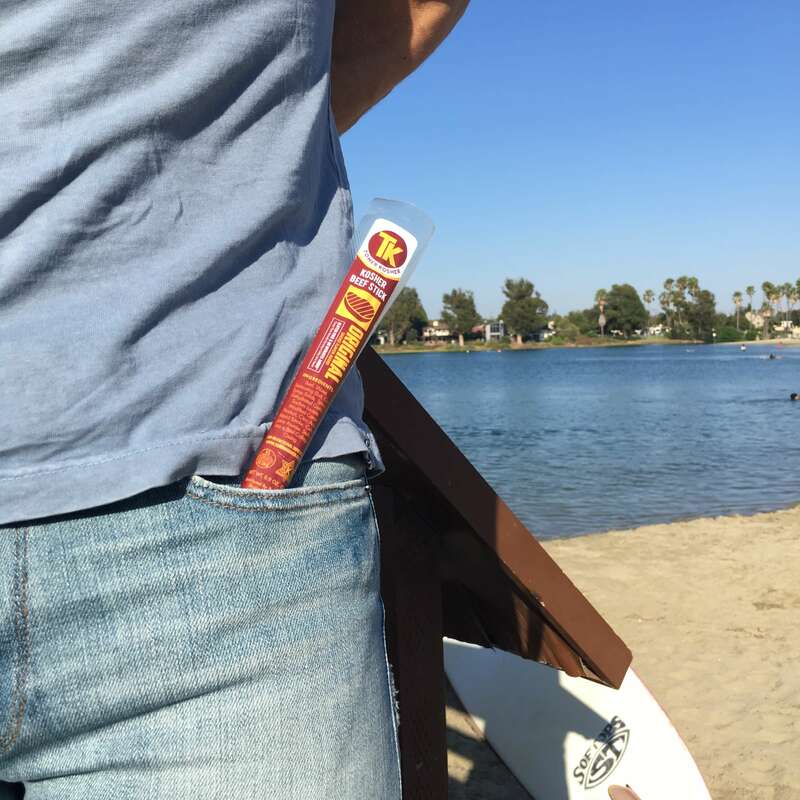 Let us introduce you to Tomer’s Kosher Original Beef Sticks, a certified kosher beef stick for discerning palettes. The smokey sticks have just 90 calories, but they contain seven satisfying grams of protein. Kosher-seeking snackers can rest assured that each stick has ”no pork, chicken, or butts,” as the brand says. Have your greasy potato chips been leaving you fried, wondering why you even ate them in the first place? 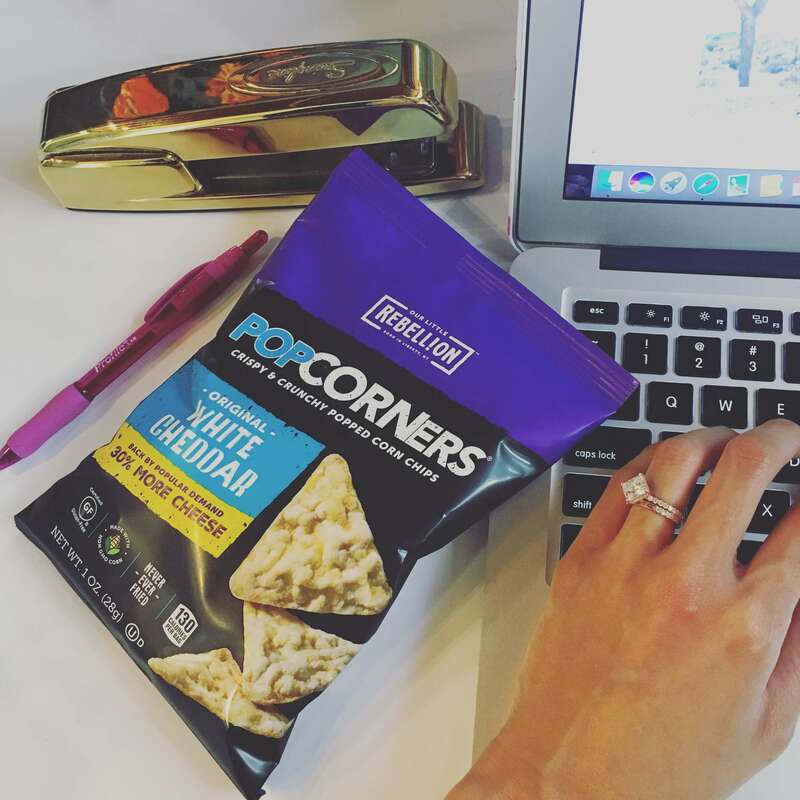 It might be time to cozy up with a snack that actually makes you feel good—Popcorners White Cheddar Popped Corn Chips. These delectable never-fried triangles are made with wholesome non-GMO corn and packed with rich cheesy flavor. You can nosh on these unchippy chips without a shred of regret; one serving has 130 calories, a small price to pay for the bold flavor you get. 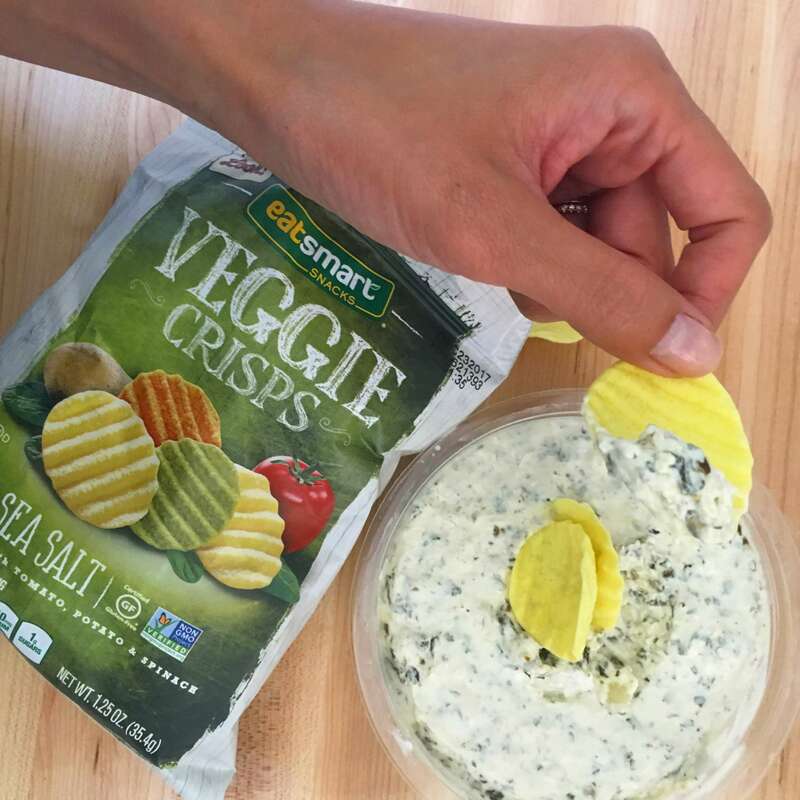 If you’re always trying to pack more veggies into your diet, then we have just the snack for you. Eatsmart’s Garden Veggie Crisps (don’t you dare call them chips) are made with tomato, spinach, potato, and healthy expeller-pressed sunflower oil. They’re also seasoned with turmeric, a known anti-inflammatory and antioxidant. Plus, one serving of these non-GMO goodies has only six grams of fat. Orange fingertips are sooooo 10 years ago. 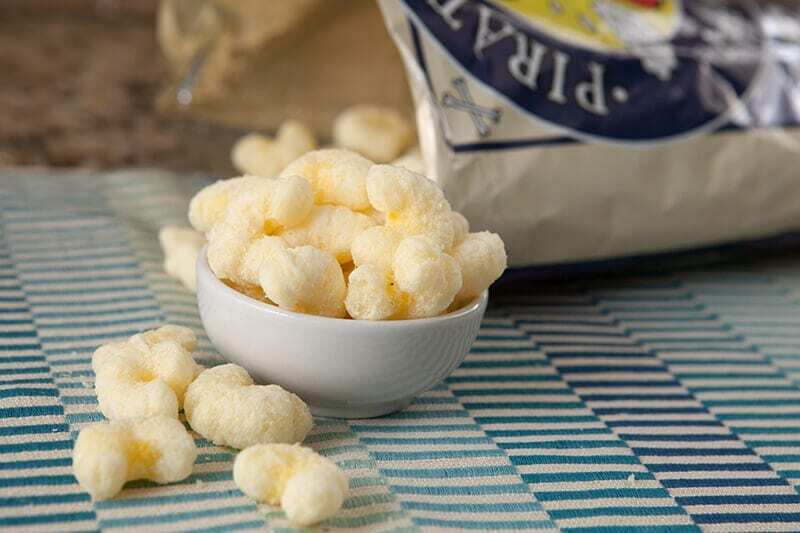 You can get all the cheesy crunch you desire from Pirate’s Booty Aged White Cheddar Rice and Corn Puffs, a snack that won’t leave any unhealthy “residue” on your fingers or your waistline. These snacks taste just as good (better actually) than their poofy cousins, and they’re way more mature. Plus they don’t come with any baggage, such as artificial colors, flavors, or preservatives, and they contain a respectable 140 calories per serving. And yes, that sharp flavor comes from REAL aged white cheddar cheese. Caution: Trying any G.H. Cretors “obsessively delicious” popcorn could lead to intense infatuation and many hours of happy snacking. G.H. 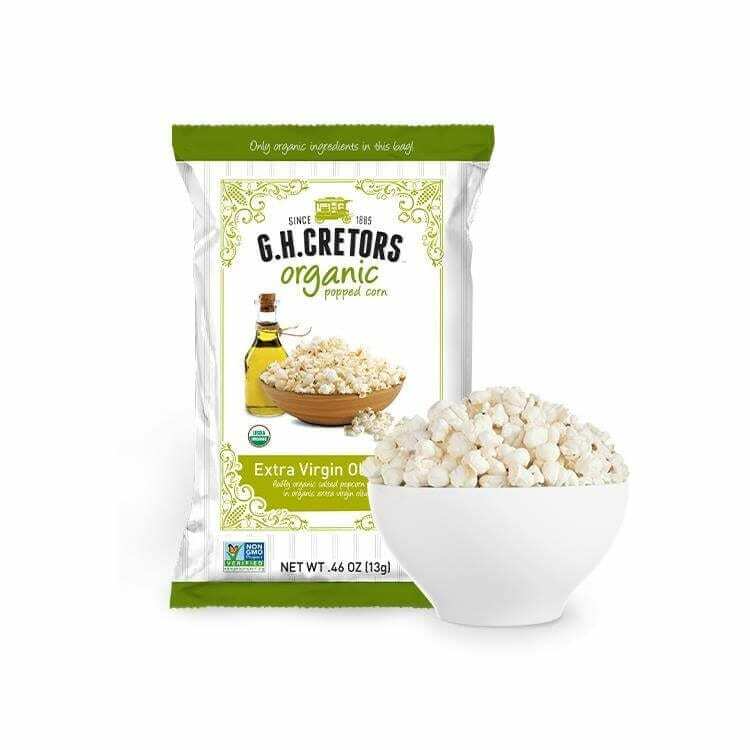 Cretors knows popcorn, and they keep each piece as pure and perfect as the first they popped in 1885 by saying “no” to GMOs, artificial colors, flavors, and preservatives. Try their Organic Extra Virgin Olive Oil Popped Corn to be amazed by how good popcorn can taste without its signature partner, butter. Almonds—the darlings of every healthy snacking arsenal. 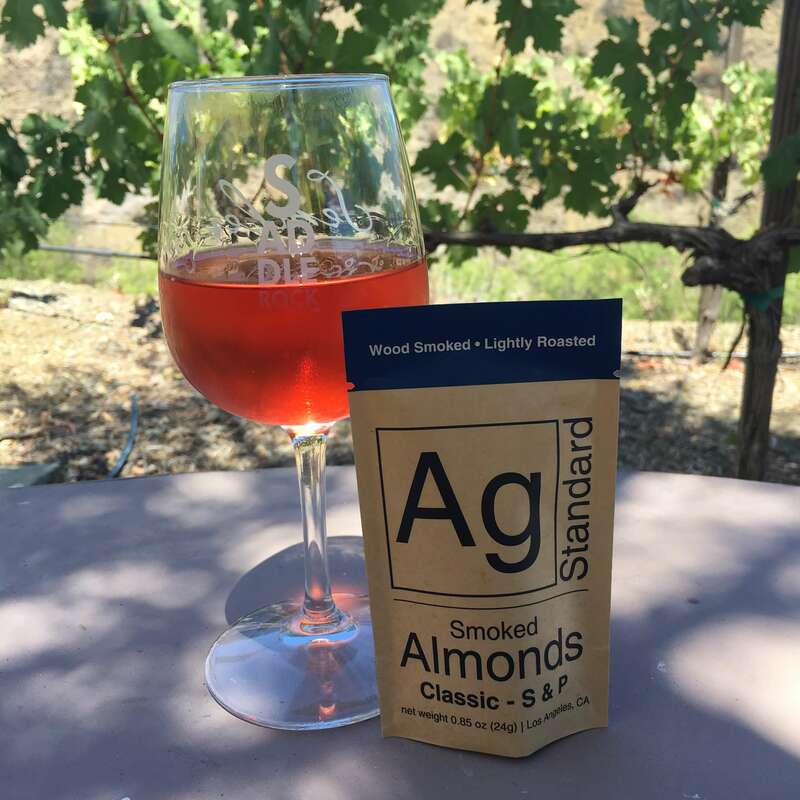 However, AgStandard proves that all almonds are not created equal. The brand’s Classic Salt and Pepper Smoked Almonds provide the perfect example. They’re slow-smoked over a curated combination of almond, peach, and cherry wood and topped with kosher sea salt, black pepper, and cane sugar. As a major bonus, AgStandard believes in quality, transparency, and accessibility. They get their spices and almonds from local sources, they reuse wood to protect the environment, and they hand-pack their almonds into minimalist packages to reduce waste. Who says you can’t have good taste and good health? Thanks to incredible savory snacks like these, you can have your snack and eat it, too.